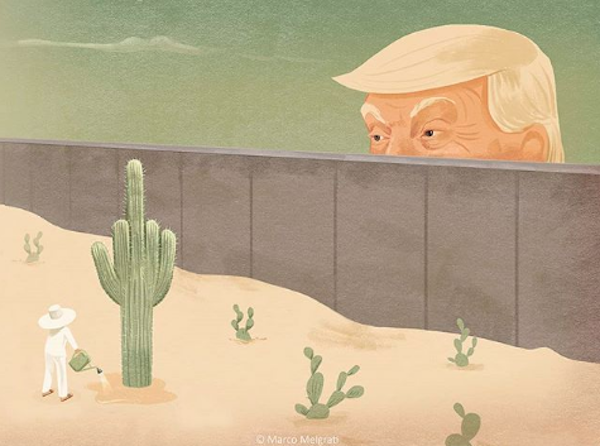 Italian illustrator Marco Melgrati has worked with various magazines in the US, Italy and Mexico. Apart from being a freelance illustrator, Melgrati specializes in mixed media and digital programs as well. Through his clever illustrations showcased below, Melgrati conveys the state of the world today and expresses his disappointment with certain aspects of society. For example, how social media and the internet have changed culture and human behavior. These thought-provoking images definitely hit home. Take a look at some of his works below and view more on Melgrati’s Instagram account.